We will answer here some of your frequently asked questions. If your question isn’t here, please send it to smart2018@edusoft.ro and we’ll be happy to help you. Question:Do I need a visa in order to come to Romania? Answer: To check the conditions of traveling to Romania, please see the ROMANIA Ministry of Foreign Affairs official website. Question: What could one find in Romania? Answer: Romania has a lot of natural resources (including gold, natural gas, and mineral water), beautiful landscapes, forests, rivers, high mountains and also a sea. However, Romania is not as rich as the other Western countries. Situated in SE Europe, Romania is a developing country and a place of interest for many foreigners. In 2007, Romania was accepted as a full EU member state. Romania has made steady economic progress in the past 20 years, after the fall of the communist regime. Before the World War 2 (WW2) Romania was a wealthy European state, whose economy was mainly based on agriculture. The economic and political situation has changed dramatically after the communists took over power and its new leaders sympathized with the Russian regime at the end of WW2. In Romania, there is a huge difference between the living conditions in some villages and life in other villages or in the cities. But still, there are loads of supermarkets full with everything – we don’t think there is something you could not find there. For example, Vila Corola is close to a LIDL supermarket in Bacau. Nowadays, Romania is working hard to regain its position among the leading European nations. Romania’s population totals nearly 20 million people. Question: Which is the internet speed in Romania? Answer: Various recent tops on Internet speed rank Romania among the top 5 countries. The most recent top we found on the web rank Romania as the second country in the list of the fastest internet speed countries. Based on Akamai report in January 2011, some Romanian cities and towns are in the top 100 cities worldwide with the highest average Internet speeds. Based on Pando networks content delivery service released in September 2011, Romania has the second fastest Internet speeds in the world at 15.27 Mbit/s, slightly behind South Korea at 17.62 Mbit/s. Romania surpassed Bulgaria, Lithuania, and Latvia in the top five, while the United States was only the 26th. Question: Which is the Romanian currency? Answer: The Romanian leu is the currency of Romania. Romanian Leu (pronunciation: [lew], plural Lei [lej]) has the ISO 4217 code RON. It is subdivided into 100 bani (singular: ban). The name of the currency means “lion”. You can change 1 USD in 4 RON or 1 EUR in 4,6 RON. 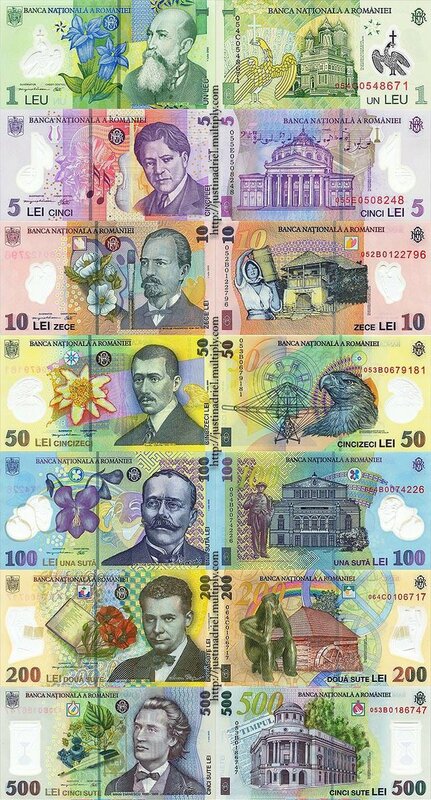 You can click here to see how the Romanian banknotes look like. Question: Which is the official language in Romania? Answer: The official language is Romanian, which is the only Latin (or Romance) language spoken in SE Europe. Romanian is spoken by around 24 million people as a native language, primarily in Romania and Moldova, and by another 4 million people as a second language. Romanian is closely related to French, Italian, Spanish, and Portuguese. However, some words are from Russian, Hungarian, Greek or German. You can find here (PDF) some usual phrases in English and their correspondents in Romanian. Although Romanian is the only official language in Romania, the Hungarian is spoken in several regions from Transylvania. Question: What other languages are spoken in Romania? Answer: In Romania, you can speak English with most people under 50. Some young and old people speak French, but you can find a lot of people who know Italian, Spanish, and German. In Romania, there are a lot of Moldavian students, and all of them know Russian (and Romanian, of course). Question: Why are the fees of the conference so small, compared to other conferences? Answer: On one hand, the SMART 2018 goal is an academic one. Our aim is to share the professional experience of the participants. The conference fee (in case of full registration) covers the printed proceedings, and also, the gala dinner, and the trip. On the other hand, the prices in Romania are generally lower than in the other European countries. Copyright © 2019 SMART 2019 – Scientific Methods in Academic Research and Teaching. All Rights Reserved.